There are two classes of membership in the Association: Full Membership and Associate Membership. Full Membership Canadian organizations that support the mission of the Association and that are recognized as an official body for the accreditation of postsecondary professional programs using established standards and processes may apply for Full Membership. 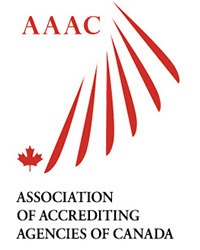 Associate Membership Organizations that do not meet the criteria for Full Membership, but which have an interest in the accreditation of post-secondary professional programs or educational institutions, and whose objectives and programs effectively support those of the Association, may apply for Associate Membership. Associate Members may fully participate in meetings and task groups established by the Association. Associate Members have the same rights and privileges as Full Members except for the right to hold office and the right to vote on issues which must be resolved at an Annual General meeting.